We all know very well that since announcing the end of the audio port with the presentation of the iPhone 7, the tech giant Apple has ensured that users can continue to use their favorite headphones by using a simple audio adapter with the Lightning port. 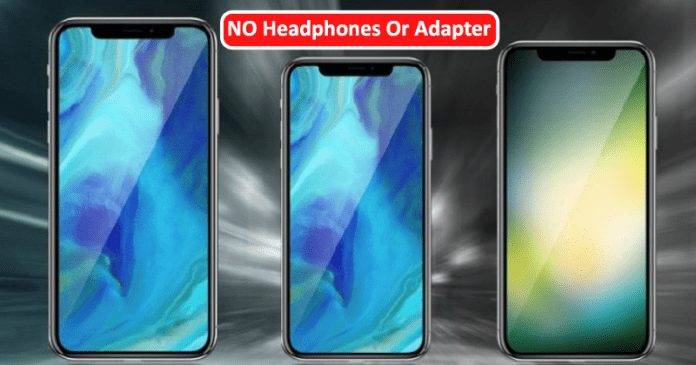 However, now according to the latest reports, the tech giant Apple’s next iPhones to ditch wired headphones or adapter. Since announcing the end of the audio port with the presentation of the iPhone 7, the tech giant Apple has ensured that users can continue to use their favorite headphones by using a simple audio adapter with the Lightning port. This scenario is likely to change soon with the next iPhones which were expected to come out in September. It is speculated that this adapter should be removed and will no longer accompany the tech giant Apple smartphones. As is normal in these cases, still for more on Apple products, there is no official confirmation, but the latest rumor is taken for granted that the audio adapter should disappear from the iPhone case. It was the maker of this little piece, Cirrus Logic, which has revealed that it should no longer be included in the list of elements to accompany iPhones. “Reported to beat but gave mixed guidance with revenue but earnings ahead. Cirrus did not update its FY19 guide, but they did finally confirm the dongle loss, adding more support for our below estimates”. Those who collected this data were Barclays, who disclosed the information in a note they addressed to their investors. Barclays had already hinted that this was a very real possibility. With this change the tech giant Apple seems to want to put iPhone users to buy and use the AirPods, increasing its user base. Interestingly, the adapter should remain for sale in the Apple store, where currently has a price of $10. This may seem like a minor change, but the truth is that it’s another important step in the use of Bluetooth headphones, which deliver better audio quality and bring greater freedom to users.